On Wednesday, Vipers defeated Al Merreikh 1-0 to reach the first Round of the CAF Champions League. Trailing 2-1 from the first leg, Abraham Ndugwa struck at the start of the second half to see the Venoms through on away goals. It was a wonderful team effort but here is how each Venom rated on the day. 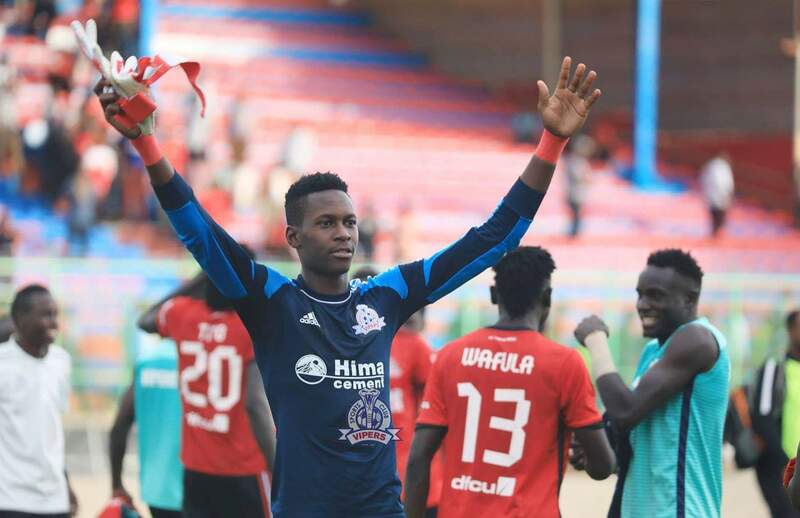 Bashir Sekagya 7.5: He was more of a spectator in the first half but as Al Marreikh searched for an equalizer, he stood firm to deny them twice in the last period. The save to deny Mohamed Yousif following Yayo Lutimba’s mistake was top notch. Geoffrey Wasswa 7.5: Played most of the game with a yellow card but was impressive all day, setting up Ndugwa for the winner at the start of the second half. Halid Lwaliwa 9.0: What a performance by Lwaliwa. Hands down the best player on the pitch as he made one interception after the other. Led like the leader he is at the back and looked impenetrable all day. Livingstone Mulondo 7.0: Mulondo looked to be in control of proceedings for the entire 90 minutes and also had Wasswa besides him for help when required. Yayo Lutimba 6.5: Aside from the mistake that played in Yousif, Lutimba had a decent day out patrolling the left side of the pitch excellently. Tadeo Lwanga 7.0: As per his usual standards, Tadeo was not at his best but managed to execute his role. Brian Nkuubi 6.5: Nkuubi was in and out of the game all day. Played most of it on a booking and was lucky not to see red. Moses Waiswa 6.0: Waiswa looked a shadow of the player he has been in the recent past. Looked tired from the onset and i for one, was not surprised when he was taken off early in the second half. Abraham Ndugwa 7.5: Tried to make things happen down the left and finally got his reward, scoring the winner at the start of the second half. Was substituted moments after scoring. Tito Okello 7.0: Wasted several opportunities on Wednesday but his energy was pivotal throughout the day. Davis Kasirye 4.0: Wasted a glorious opportunity to hand Vipers a 2-0 lead and always looked a lost sheep on the pitch. Noah Wafula 6.0: Played in Kasirye for the missed chance and was full of running from the time he came on.